it’s the beginning of the end. which sounds moderately emo and morbid, but it’s true. this is the last time i’ll ever come drive down from norcal to socal in an obscenely late september flourish, the last time i’ll go through the week 0 motions of boothing and watching dance battles and going to free concerts in the campus park. okay, maybe not the last one, since i’m actually going to a concert i won tickets for in a random contest instead of partaking in this year’s act. but in that spirit, i thought it appropriate to post something sweet for the last week 0 of undergrad. and it’s made even more weird because the last time i made these oatmeal crisp cookies was at the end of high school, 3+ years ago. i meant to post them on the blog, and for whatever reason, they didn’t make it. something about these cookies makes them appropriate for the end of eras, i guess. the name sounds a little senior citizen (perhaps the oatmeal part), but since i am a lover of oats in baked goods, i basically have my aarp membership already. anyways, there’s chocolate involved! hopefully that’s enough to sway you if you’re anti-oat. and if you’re an active raisin and/or walnut hater, you can definitely leave them out and sub in more chocolate/oats/cereal, even if i’m a little sad over here. i promise that these taste so much more like oatmeal crisp cookies with the extra crisp/crunch of the walnuts, and that the chewy raisins do wonders. 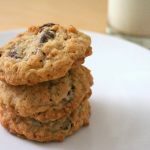 These oatmeal crisp cookies might feel like they include everything but the kitchen sink, but all of the mix-ins work together to make a cookie that's tasty and interesting down to the last crumb. Cream the butter and sugar until light and fluffy. Mix in the vanilla and eggs until well combined. Add the flour, salt, baking powder and baking soda, then mix just until combined. Mix in everything else (dough will be very thick). Drop onto cookie sheets (I like placing 12 balls of dough using a 60 scoop, aka 1 1/2 T, onto each sheet). Bake at 375F for 15 to 20 minutes until golden and set. They will become more crunchy as they cool. I typically use a #60 scoop (about 1 1/2 T), which yields 56 cookies. Hahaha! 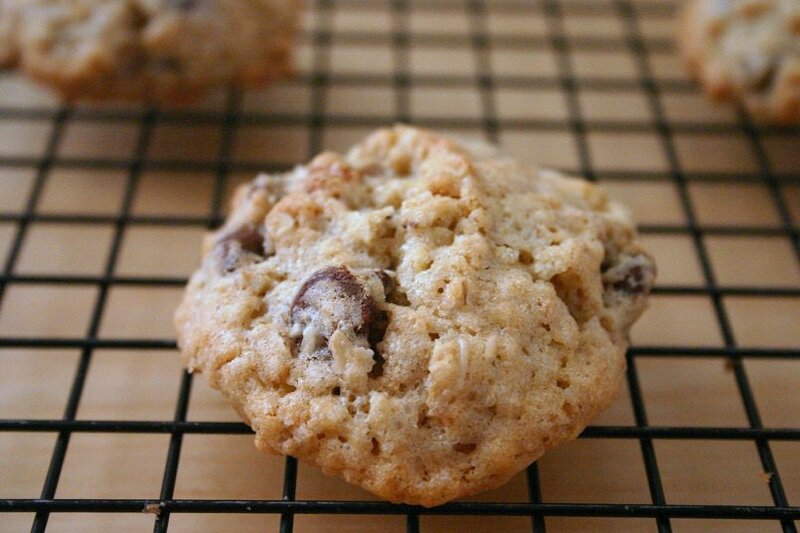 Just call me granny because I love oats in baked goods too–especially cookies :). I totally remember those bittersweet feelings when college was coming to an end. Don’t get me started on how I cried when it came time to register for graduation :(. But trust me, cookies help! Have a great week, Heather! I love oatmeal in baked goods! Savor and enjoy your last undergrad moments. When I was in college I kept anticipating what was coming up next instead of living in the now and appreciating what I had at the time. Once you get to your 30s, everything happens so fast! enjoying the last moments have manifested itself as, who knows where i’ll be post-grad, so i should try all the food i want to! fun for sure (but expensive and unhealthy whoops). You must’ve gotten your AARP credential the day after I did! I totally love this recipe and, like you, everything with oats, and raisins, too! The rice cereal addition is brilliant! Thanks for the recipe! 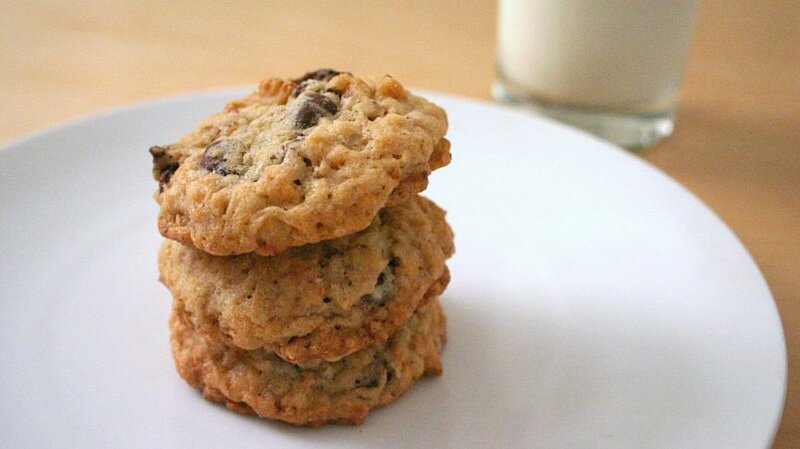 I love using oatmeal in cookies. Makes you feel like you are eating something healthy. definitely (; and raisins are fruit, and chocolate is an antioxidant, right?! Do you feel all grown up? Last days of university are so sad but at the same time all mixed up with so much nervous energy! I love oats as long as it is not in the form oatmeal. these look great. Enjoy the last week! i refer to myself as a semi-adult, so i don’t feel alllll grown up quite yet! and i feel you on the oatmeal; there are days when i just don’t want to deal with goopy health. It’s been a very long time since I’ve mad or eaten oatmeal cookies, it’s been way too long. I’m defiantly a granny hidden in a 34 year old body. I love that these cookie are little crisp. There is nothing senior citizen about these!! Yum – just adding the word crisp to the name of these makes me want them. Enjoy your last week! I’ll happily be this kind of senior citizen. same! (and on another note, i think it’s hilarious that my parents have senior citizen center parking passes, even though they’re a lot younger than the typical person at the senior center). 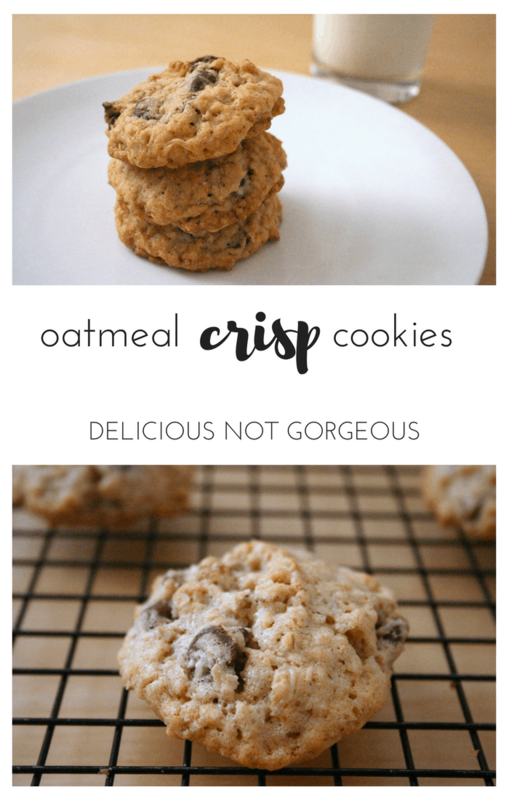 Adding rice krispies to oatmeal cookies is such a wonderful idea, those crunchy bits running through the cookie along chewy oats and sweet raisins…dang, I need one right now!!! I have always liked grape nut pudding and every time I order it in restaurants I felt like I belong in the grandma section (hee hee). I also like oatmeal cookies. These look delicious! I’ll take just the way they are…nuts, raisins, and all! Oatmeal cookies are one of my FAVS!!! So these are totally calling my name! Cheers! As a passionate lover of crisp cookies, I have to try your recipe. Would it be a mistake to have them for breakfast? definitely not a mistake to have them for breakfast! best time to have them (; especially on the mornings when you don’t want to get out of bed! THESE LOOK SO MOISTY and delicious!!! I can only imagine how the chocolate pairs with the raisins! 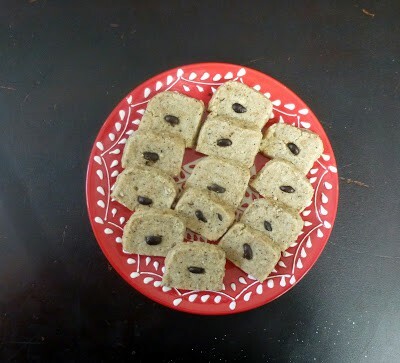 These sound great, I really like the idea of adding the rice cereal to these. sometimes i can only force myself to have oatmeal if i have awesome fresh fruit with it lol. Oatmeal cookies are such a comfort food to me and I even love eating the raw dough. 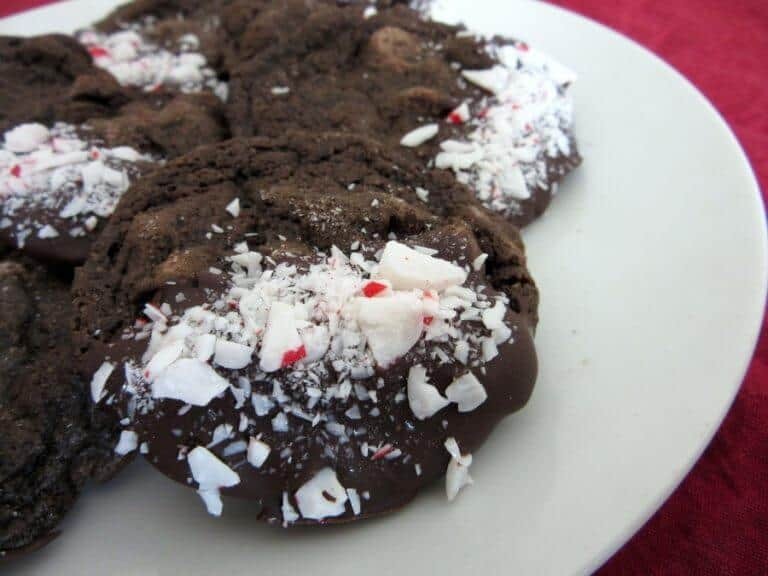 I’ll have to try making these on Saturday so I can have some for Sunday breakfast 🙂 Also, if you didn’t put the “crisp” in the recipe title, these would totally be old people cookies because dentures. hahahahahaha! I remember that feeling!! That makes me feel so OLD! not sure what’s up with the raisin haters!! they do tend to be a bit sweet (hence why i don’t really like them plain), but not sure besides that. oh well, more raisins for us! I must be old before my time as well because I love oatmeal in my baked goods and I simply adore oatmeal and raisin cookies. I love oats in my cookies!! This recipe sounds yummy..I have never thought of adding rice cereal to my cookies..Can’t wait to try this Heather!! old ladies unite! oatmeal cookies are the bomb and anyone who doesn’t agree can’t sit with us! so far no cookies, but there has been an obscene amount of ice cream and kbbq :3 thanks, stephanie! ahh yes something in every bite! chocolate chip cookies (not quite the same thing but still) without enough chocolate chips are kind of sad. i can imagine taking a bite of cookie and saying, “i feel better already!”. like a really bad oatmeal commercial lol.